Last set of big holidays for the year is not too far away. Time is winding down for wanderlusters to fulfill 2013 resolutions to “travel more”, “travel farther,” or “travel smarter,” There are many ways to put those goals within reach. Advance Purchase offer is one of these. Preferred hotel group brings an incredible offer. Whether booking a beach escape weeks in advance or a city trek on three days’ notice, travelers can save up to 30 percent on stays at 98 one-of-a-kind hotels and resorts worldwide now through December 31 with the Preferred Hotel Group Advance Purchase. 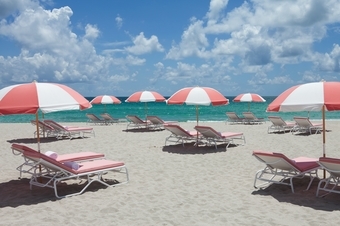 FLORIDA: Book at least 45 days in advance to save up to 30%* in Miami Beach, Florida at SLS Hotel South Beach: This 140-room hotel presents the ultimate South Beach experience with dining by the iconic Chef José Andrés, a prime address on Collins Avenue, and interiors by Philippe Starck. *Regular rates from US$326 per night. CANCUN: Book at least 30 days in advance to save up to 30%* in Cancun, Mexico at NIZUC Resort & Spa: With two exclusive beaches, butler service, a 30,000 square-foot spa, and 274 suites featuring a private deck, plunge pool, or garden, this resort redefines luxury indulgence along the Riviera Maya. *Regular rates from US$382 per night. KUMARAKOM : Book at least 30 days in advance to save up to 20%* in Kumarakom, India at The Zuri Kumarakom, Kerala Resort & Spa: Set on Vembanad Lake, this resort is a haven for relaxation and rejuvenation with features such as traditional Indian-style bedrooms and a private island for meditation and yoga. *Regular rates from US$155 per night. TOKYO: Book at least 30 days in advance to save up to 15% in Tokyo, Japan at The Prince Park Tower Tokyo: This impeccable 33-story hotel wows guests with unobstructed views of Tokyo Tower, 603 well-appointed guest rooms with hi-tech amenities and sunken whirlpool tubs, and a prime Shiba Park location. *Regular rates from US$189 per night. PARIS: Book at least 30 days in advance to save up to 15%*in Paris, France at Hotel Felicien: This new-to-the-scene avant-garde landmark presents a glamorous design experience at the hands of architect Olivier Lapidus in a central location just steps from sites such as Trocadéro and the Eiffel Tower. *Regular rates from US$382 per night. 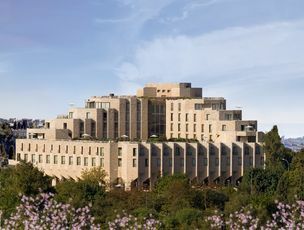 JERUSALEM: Book at least 14 days in advance to save 20% * in Jerusalem, Israel at The Inbal Jerusalem: Ideal for business travelers or sightseers, this 283-room gem is renowned for its world-class hospitality, authentic Israeli cuisine, and close proximity to major historic and entertainment sites. *Regular rates from US$453 per night. ROME: Book at least 3 days in advance to save 15% * in Rome, Italy at Parco dei Principi Grand Hotel & Spa: This elegant hotel in the exclusive Parioli neighborhood wows guests with features such as an expansive outdoor heated pool, views of St. Peter’s Basilica, and 179 guestrooms featuring private terraces. *Advance purchase rate includes breakfast. Regular rates from US$356 per night.